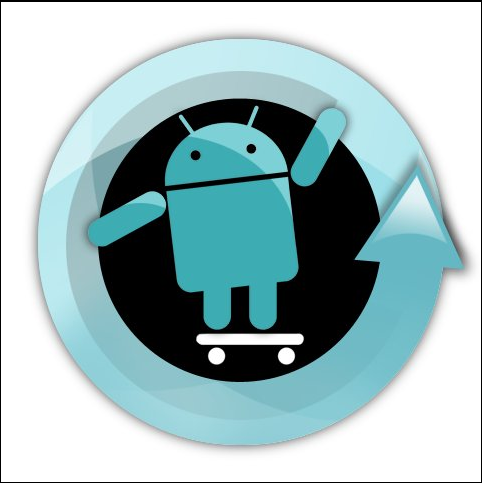 As a follow up to my blog post in December about custom Android ROMs, i’d like to comment on the news released by the CyanogenMod team last month about their removal of default root access in their upcoming CM9 release. In a post on their blog a few weeks ago, the CyanogenMod team announced that they were changing the way that they handle root access on devices using their ROM. Previous releases of their ROM have root access enabled by default, as is common in most custom ROMs. That had the result that any application that requested root access on the device would be granted it. This is great for some of the power-user applications that are common among the Android modding scene – Titanium Backup is one that comes to mind – but it comes with a significant security risk, since a malicious application installed on the device could have full root access without the user being aware of what it was doing. The CyanogenMod team acknowledged this in their post, saying, “Shipping root enabled by default to 1,000,000+ devices was a gaping hole“. What the team is planning to do instead is to implement root access in a selective, user configurable manner. A device using the ROM has root access disabled by default, but can be configured to only enable it for ADB console access, to enable it only for applications, or to have it enabled across the board. This type of control leaves it in the hands of the users to choose the level of risk that they are willing to accept. Obviously, many of the tech-savvy enthusiasts will immediately enable unfettered root access. However, for the large part of the Android community that is only interested in custom ROMs for the customizable interfaces offered by them, this will be a welcome and overdue security protection for them. Already, it is clear in the comments to the CyanogenMod post that not everyone understands what the risk of root level access is – someone asks the community to “explain this for the liberal arts majors“. Just so it’s clear, the removal of root level access is strictly at the operating system layer. Installing a custom ROM onto an Android phone still requires unlocking the bootloader, which on most devices requires running a “jailbreaking” exploit of some sort. There are a few exceptions to this; the Google Nexus line of phones lets you unlock the bootloader with only some console commands, and HTC and Motorola have also been providing bootloader unlocks to their devices. Unless it’s coming from the manufacturer, there is always the possibility of some risk when executing unknown code on your device. But once you’ve gotten to the point of installing the custom ROM, there was the further risk of having root-level access to the operating system easily available, which is the gap that CyanogenMod has closed here. To me, this indicates that the CyanogenMod team is acknowledging their influence in the community and using it to educate users on good security measures. Baking in a “secure by default” configuration to the most popular ROM will be good for everyone. Kudos to them for acknowledging this, and let’s hope that it leads to a more secure Android ecosystem for everyone! Clients hire Neohapsis for many reasons: our expertise, our perspective as impartial outsiders, and our commitment to executing projects efficiently and expertly are just a few reasons. But while working with clients, an important sub task that I try to accomplish is to help them change the way they interact with the rest of their business – to get security departments to think and act like consultants. It’s easy for people working in IT, and those in Security in particular, to get caught up in their day to day activities. There’s always a new fire to be contained or technical hurdle to overcome. But while doing so, it’s important to understand how these activities are helping enable the business to continue to meet its overall goals. The most effective consultants understand their role: to be the trusted advisor. Internal security professionals can take on this same role within the company. Their departments have the responsibility of ensuring that risks are appropriately mitigated and that the business can continue to function smoothly in the face of constant external and internal threats. The core business can be viewed as a client of the security team, who is engaging security for assistance and reassurance that their day-to-day activities aren’t putting the business at a risk. I’ve been working with one of our clients recently to help one of their business units engage more effectively with the internal security organization. In the past, the business unit handled many IT activities themselves, acting as a de facto independent IT department. While they are effective at running their own business, they did not have a security team focusing on their organization, so security concerns were often overlooked. When I began working with the team, I found out that one of their main complaints with asking the security organization for assistance was lack of responsiveness. I’ve helped set this organization up for future success by serving as a liaison between these two parts of the business, facilitating better communication on both sides. The business unit has a central point of contact for security concerns, who can funnel them to the right people in the security organization; and the security organization has someone aware of most of the business unit’s projects and activities, which helps them cut through the confusion that can happen with disparate teams. Security professionals must be both advisor and enforcer at the same time. It’s tempting to get caught up in enforcing security for security’s sake – but it is important to remember that the ultimate goal of a security professional must be to help the core business be successful. As I sit here typing in beautiful Chicago, a massive blizzard is just starting to hit outside. This storm is expected to drop between 12 to 20 inches over the next 24 hours, which could be the most snowfall in over 40 years. Yet in spite of the weather, the citizens and city workers remain calm, confident in the fact that they know how to handle an incident like this. A joke has been going around on twitter about the weather today – “Other cities call this a snowpacolypse. Chicago calls it ‘Tuesday’”. Northern cities like Chicago have been dealing with snowstorms and snow management for decades, and have gotten pretty stable at it. Yet, when cities fail at it, there can be dramatic consequences – in 1979, the incumbent mayor of Chicago, Michael Bilandic lost to a challenger, with his poor response to a blizzard cited as one of the main reasons for his defeat. The same crisis management practices, as well as the same negative consequences attached to failure, apply to information security organizations today. Security teams should pay attention to what their better established, less glamorous counterparts in the Department of Streets and Sanitation do to handle a crisis like two feet of snow. An information security program that is proactive in preparing for security incidents is one that is going to be the most successful in the long run. It will gain the appreciation of both end users and business owners, by reducing the overall impact of a security event. Because as winter in Chicago shows us – you can’t stop a snowstorm from coming. Security incidents are going to happen. The test of a truly mature organization is how they react to the problem once it arrives.